Our album “Change of Course” has been nominated for a SAMMY in the category of Best Americana! 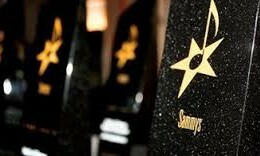 The SAMMY Awards Show will be held on Friday, March 7th at the Palace in Syracuse. We are honored to have our name alongside some other great local area musicians, including Kayleigh Goldsworthy, Loren Barrigar and Mark Mazengarb, Pale Green Stars, and Greg Hoover. SAMMYs trophies will be awarded in 11 categories in addition to two People’s Choice Awards and the Brian Bourke Award for Best New Artist. We’re still in the running for the People’s Choice Award, so keep on voting!